It is a world of eternal daylight, where prehistoric beasts terrorize the land and primitive tribes fight for survival in an incredible landscape of lush beauty and vicious brutality. 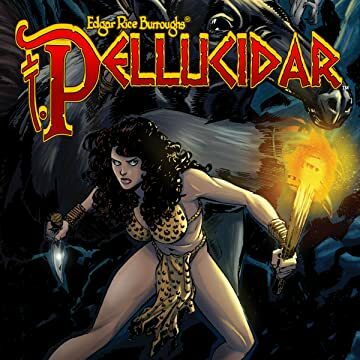 This is Pellucidar, the world at the Earth's core, one of the most fascinating and beloved creations of science fiction author Edgar Rice Burroughs! 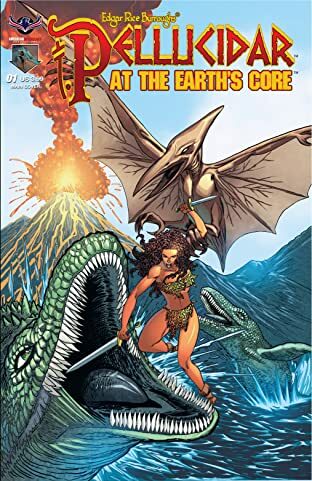 Ruled by the telepathic and blood-thirsty Mahars, all of Pellucidar lives in fear of the pterosaurian terrors, but the flesh-eating monsters might have met their match in Dian the Beautiful, whose indomitable will could lead all of Pellucidar to rise up in revolt of their savage oppressors!